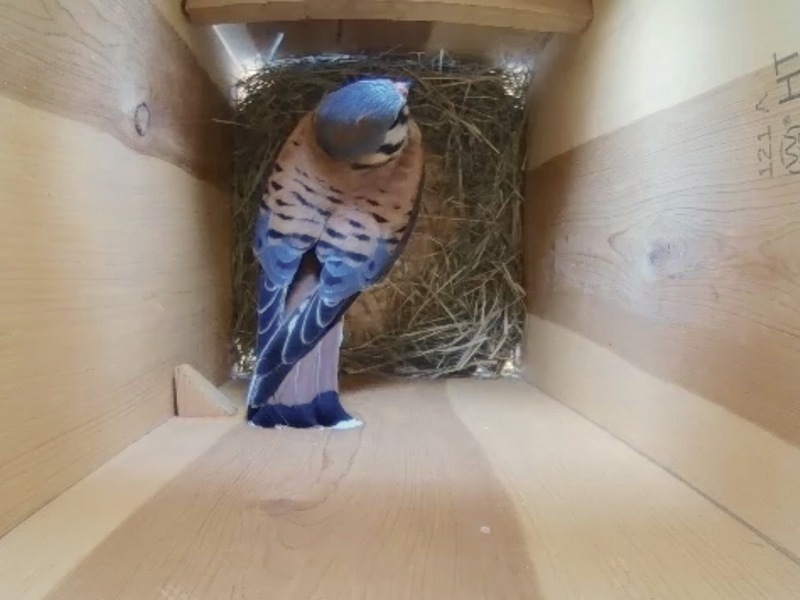 Male in the nest box during the day, and calling to the female. He stayed only about a minute in the box before flying out again. Likely the same male that spent the night before last in the box. Hoping for a nesting pair this year! What a cutie! Indeed, signs are looking good! Posted in General Discussion by NM-Kestrel-Laura 2 years 1 month ago.